Karo Man: One of the most colorful people in a region full of colorful people, the Karo incorporate all the style elements practiced by the Omotic peoples. 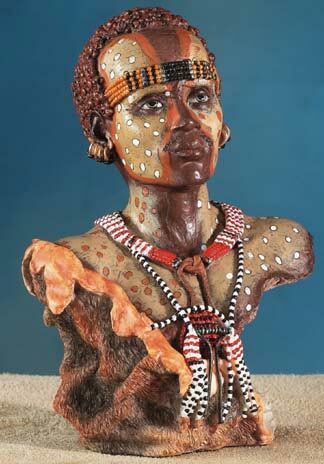 On special occasions, every tribe member is painted with striking designs resembling the guinea fowl or the fur of the leopard. (Approximately 6 3/4" Tall). Perfect for gifts and collectables.